Holds a filter (not included) between a camera and most Opto Engineering lenses. 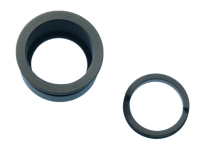 Use with 17.5 mm diameter filters that are 2 mm thick. Also available with a variety of filters -- please see our filter catalog for details. Not compatible with LSOG200, LSOG201, LSOG202 or LSOG236. Depending on sensor size, some vingetting my occur with LSOG4XX series.